We get so many gorgeous fairy, princess, and tea parties on our site. 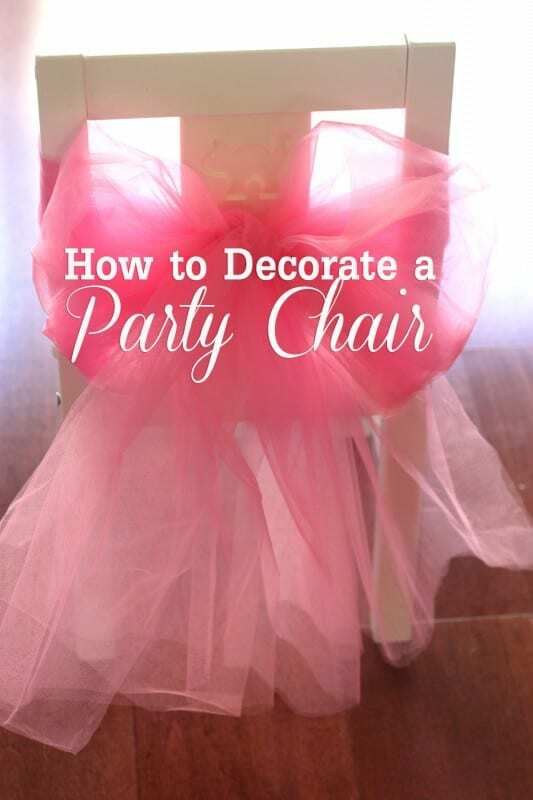 Here are a couple of ideas for how to dress up your party chairs for your feminine. The most popular idea is to wrap the chairs in tulle. 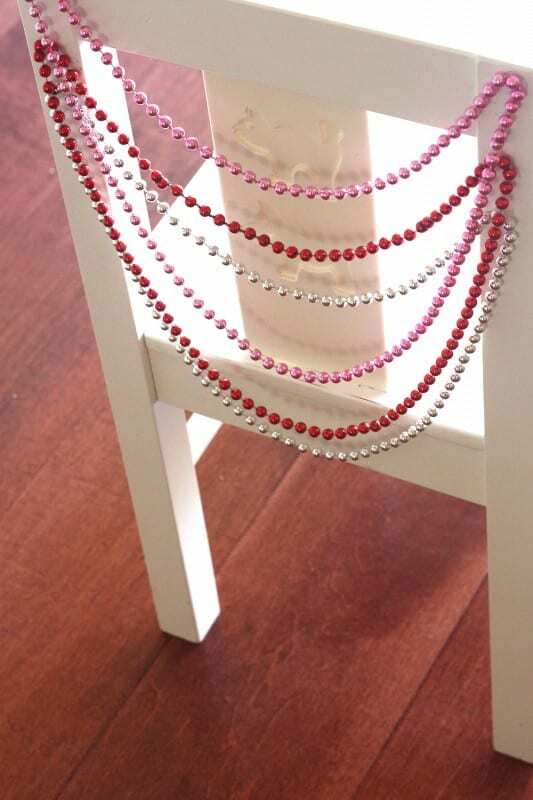 This is a great way to add some softness and elegance to your party, plus it's simple to do. It took me 7 yards to wrap this kid-sized chair with a bow, and 5 yards to wrap it with a knot. I love this view from the side. 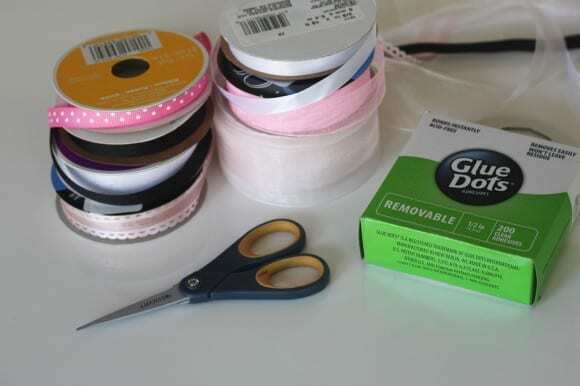 Plus tulle is a very inexpensive fabric. 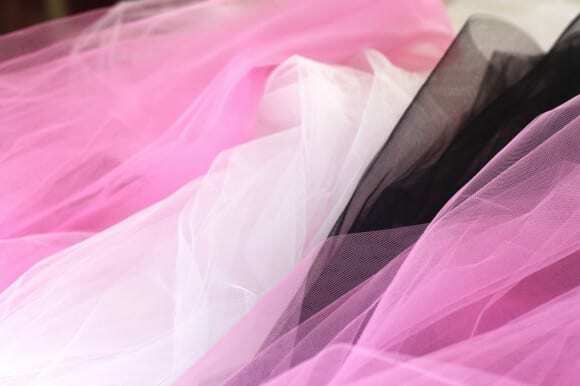 Here you can buy a bolt of pink tulle for less than $0.50 a yard. I have a whole assortment at my house. 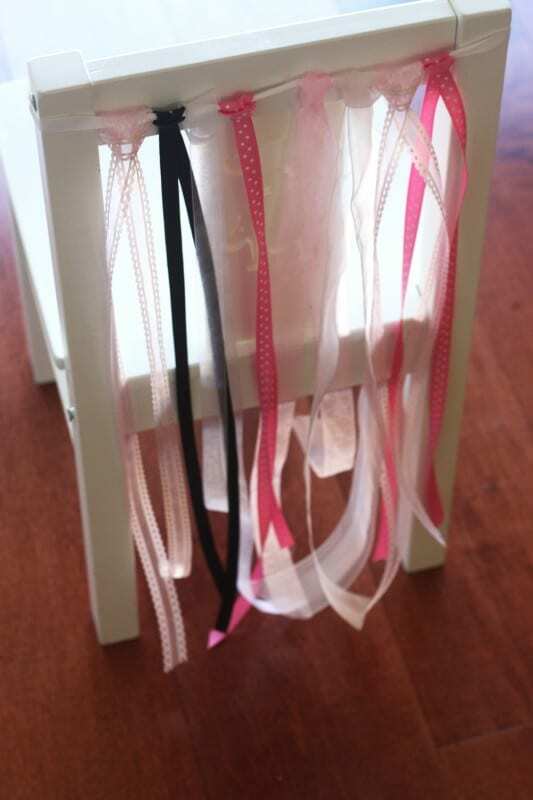 Another simple idea is to tie ribbons to the backs of your chairs. Here I used an assortment of colors, widths and textures to give it a shabby chic look. 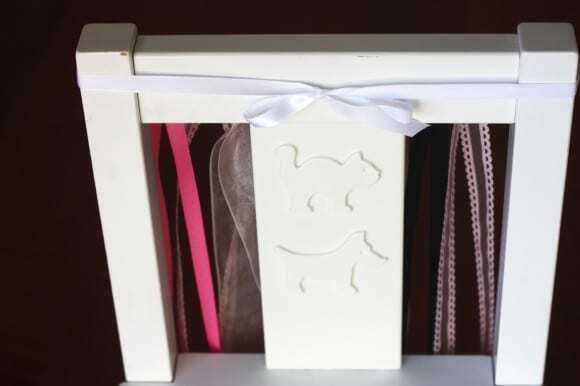 I doubled the ribbons, and attached them using girth hitch knots to a white satin ribbon which I tied around the chair. 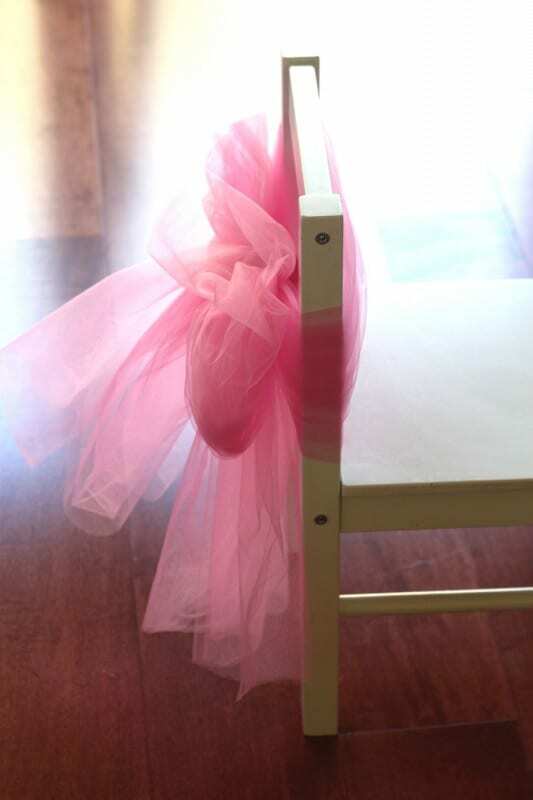 I also used Glue Dots (my favorite party tool) to secure the satin ribbon to the chair. Here's the front view of the satin ribbon. Here are the ribbons I used. 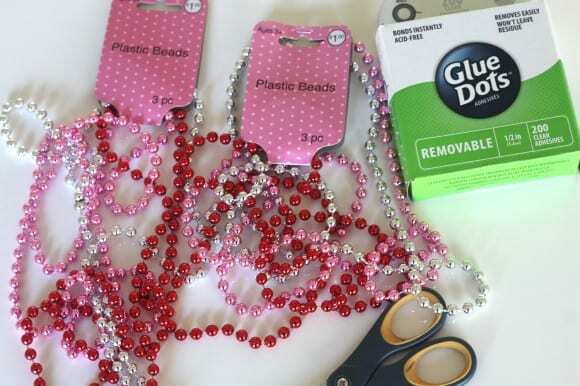 If you want to add a little sparkle to your chairs, I recommend buying Mardi Gras beads in different colors and attaching them to the back of your chairs using Glue Dots. Again, what a simple idea but it adds so much. Plus your guests can go home with the beads at the end of the party! Hope these ideas are helpful! Can't wait to see your party chairs..
For moreparty inspiration, check out these fantastic fairy, princess, and tea parties on our site. Love it! I'll be holding a small event at home and I need some chair decorations. This is a great idea. Thanks for sharing this.